Front desk personnel at the Marquis Miami luxury tower near American Airlines Arena began logging the number of guests entering a unit on the 18th floor on March 13. Over the next 10 days, more than two dozen visitors were granted access to the two-bedroom condo owned by DDW Property Holdings, LLC, a recently dissolved Florida corporation managed by Larry Zuckerman in Cleveland, Ohio. Each time, front desk clerks and security guards wrote incident reports that identified James Milien, a West Palm Beach resident staying in the 18th floor unit who greeted the visitors in the lobby when they arrived, the names of his guests and their arrival times. For the Marquis Miami Condominium Association, the incident reports serve as ammunition in its recently filed lawsuit in Miami-Dade Circuit Court against DDW Property Holdings for violating the residential building’s ban on daily and weekly rentals. Six reports were included as exhibits in a motion for a temporary injunction filed by the association’s attorney, Alexis Hernandez. The condo board of Marquis Miami, at 1100 Biscayne Boulevard, wants DDW and Milien to stop advertising the unit on Airbnb and leasing it for short-term lodging. The lawsuit provides a rare glimpse into the enforcement measures luxury condominiums are using to catch owners who violate short-term rental bans. Hernandez declined comment and Milien did not respond to phone messages seeking comment. Efforts to reach Zuckerman were unsuccessful. 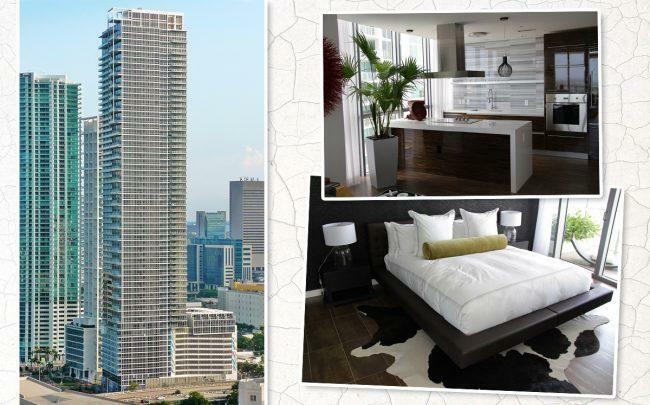 Miami-Dade property records show DDW paid $999,999 for the 2,046-square-foot condo in 2014. The lawsuit accuses DDW of violating 10 condominium rules, including leasing the unit for a period of less than four months and leasing portions of the condo to short-term renters. According to the complaint, Marquis Miami property management employees became aware that the 18th floor unit was rented out to two women for two days beginning on Feb. 25. About two weeks later, front desk personnel began writing incident reports every time guests checked in at the lobby. Marquis Miami employees confirmed the unit was being advertised as an Airbnb rental on March 15 when one of the guests, Kallah Boyles, complained that there were too many people staying in the condo. Boyles explained that she had booked a three-night stay on Airbnb, paying Milien $350 for the lodging, according to the incident report. Boyles said she decided to leave because “Mr. Milien had a multitude of different individuals staying in unit 1802 and it was so loud she could not sleep in the unit,” the incident report states. Separate incident reports from March 18 describe complaints from two other unit owners about the ruckus emanating from DDW’s condo. Both times security went up to the condo and the occupants said they would “keep it down,” the reports state.